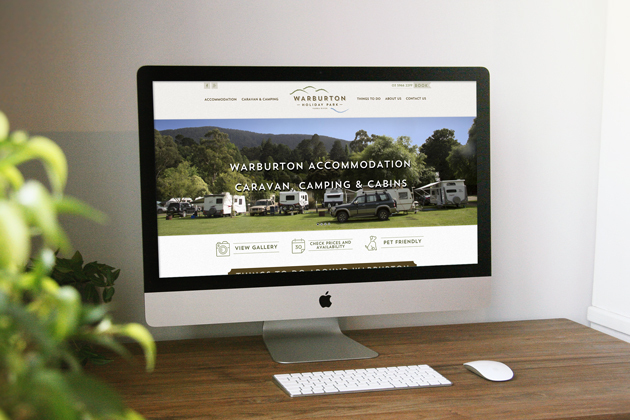 New owners of the Warburton Holiday Park approached Juggler Design to re-brand the Park and develop a website. The Park would be going undergoing significant improvements in the next 36 months and they were after a brand that would reflect the future site. 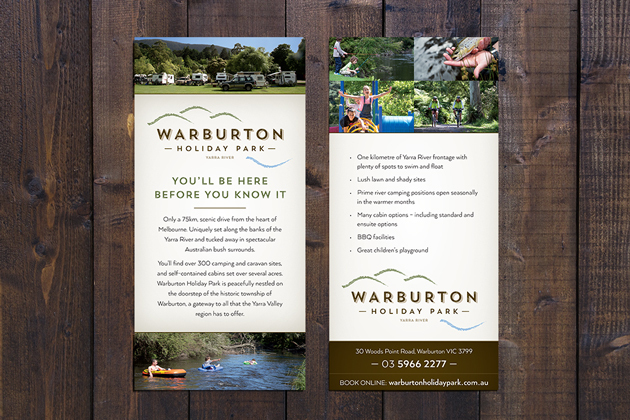 Warburton Holiday Park is nestled in a beautiful valley, bordering Warburton. Not only is it the first Holiday Park on the Yarra outside of Melbourne, it is an incredibly peaceful and beautiful part of the state. The logo design integrated elements of the mountains and the river which define the park. 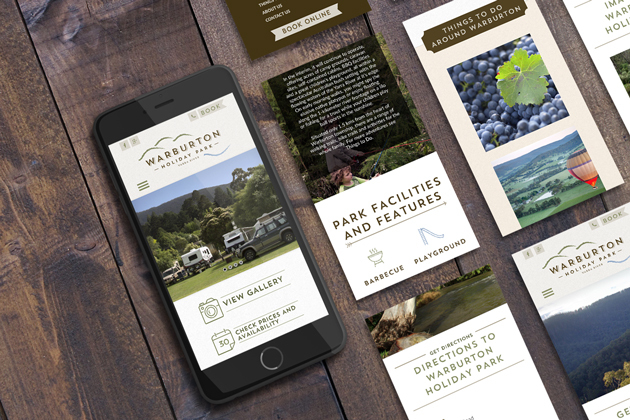 The website strategy was heavily influenced by the abundant nature based activities. Research revealed that most tourists to the area are interested in hiking, biking and trailing activities, with the river being a major feature in summer and Lake Mountain being a strong winter feature. The “getting back to nature” aspect became a focus for the communication objective. 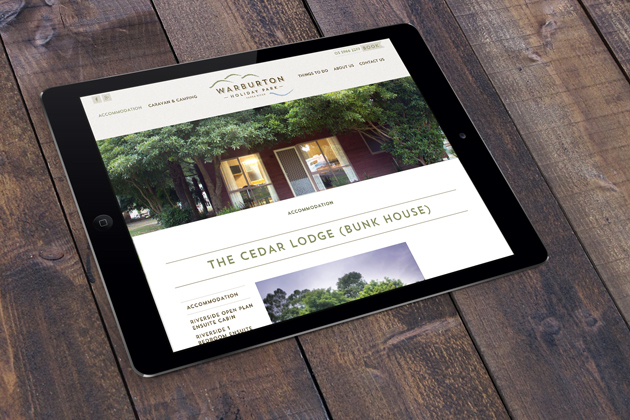 The brand and site were launched in December 2015. There was no further promotion for the site. In March 2016 we were told the Park was the busiest it had ever been in the 15 year history of the booking staff.